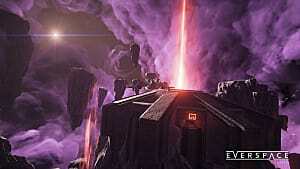 When Everspace first hit Early Access in September of last year, I was all over it. 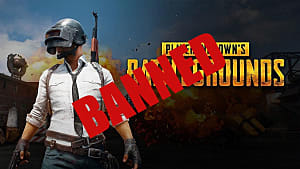 I mean, my first time playing it I shut off from the rest of the world for a solid five hours -- there was nothing else but the void of space and me, trying my damnedest to survive wave after wave of drones, outlaws, and aliens alike. I'm no stranger to fantasy space games like Freelancer, X3: Terran Conflict, and Galactic Civilization II, which made up a lot of my high school years. 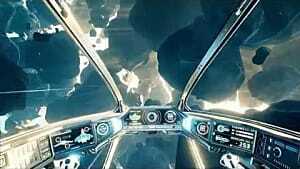 Everspace is a different type of beast, though, with its feet firmly planted in the roguelike genre -- a genre of games known for their unforgiving nature and sometimes steep skill curve. 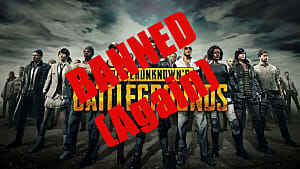 Developed by Rockfish Games, a studio made up of former Fishlabs Entertainment vets who brought us the massive mobile success series Galaxy on Fire, the expectations were high for this game as it exited Kickstarter. I wrote another review of the game back when it first hit the Steam Early Access where I praised it and it's many virtues with only 10 hours of playtime. Now that I've got more than 100 hours in the game, close to 15 of those on the full release, let's see how it stacks up compared to my first impressions. Graphically, this game is visually stunning. The details are meticulous -- down to visible internal damage on your ship if you've taken too much of a beating. I've had runs where I was limping through jumps with a meager 10 hull points remaining, my sensors shot, my life support failing. Never has eminent demise looked so good. Even something as mundane as flying through asteroid fields or crawling a damaged chunk of a derelict space station has a number of small visual details that almost make you forget (for a second) that things are trying to kill you. And let's not forget the anomalies of space, such as nebulae, singularities, and solar storms, which are as beautiful as they are detrimental to your survival. Compared to the early release of Everspace, the graphics here are highly polished and very much AAA. I'd love to see how this game looks on VR. 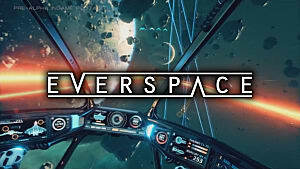 Oh yeah, that's right, the full release of Everspace will have full support for play on the Oculus Rift and the HTC Vive... lucky you, VR owners. Generally, as soon as you warp into a fresh field on your run, the first thing you'll find yourself doing -- aside from fighting off whatever enemies may be lurking around the corner -- is looking for resources. This is where the roguelike nature of Everspace kicks in -- gather resources, craft the supplies, live to fight in another sector. 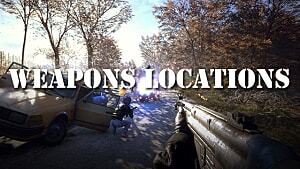 As you play, enemies have a chance to drop blueprints upon destruction. 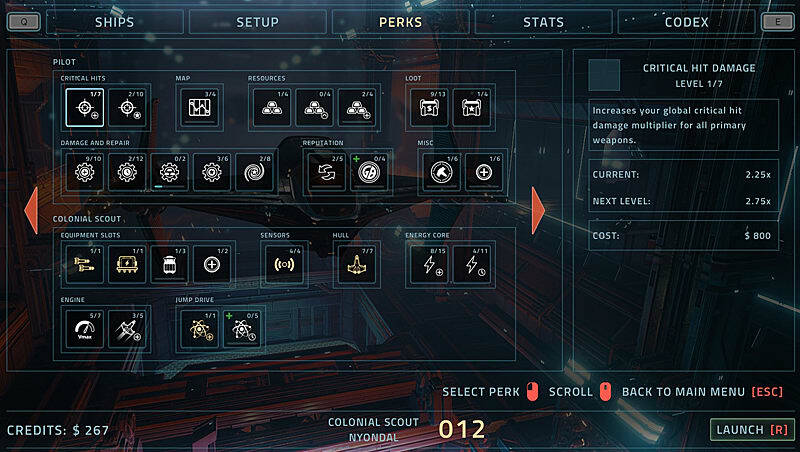 These blueprints can be anything from primary or secondary weapons, weapons mods, consumables for the short-term edge, or ship systems for the long-term advantage. There are easily more than 100 different blueprints to collect and even at close to 100 hours, I have only managed to gather about 58 of them. 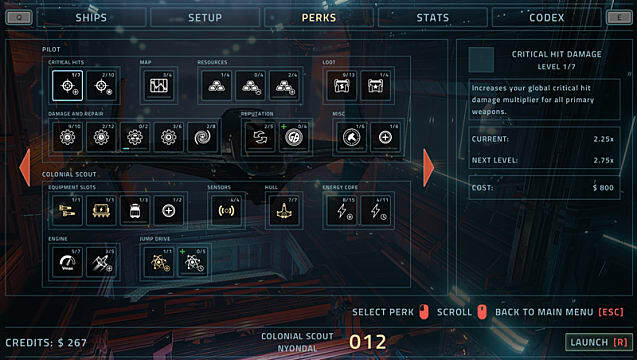 Depending on your style of play and your ship, you can outfit a number of systems -- from the cloak on the scout ship, making it a silent killer, to a laser turret on the gunship, giving the shieldless behemoth a level of defense against nimble enemies. 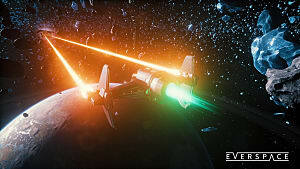 All in all, there are lots of modifications you can perform in Everspace to make your ship the baddest in the galaxy, and one that will flitter from sector to sector with ease. Like I stated above, this is a roguelike, and death is an eventuality. In fact, it's not exactly a bad thing. When you die, you get a chance to spend the cash that you've earned on your run to upgrade both personal pilot skills as well as ship-specific skills. Even with upgrades, runs don't ever feel like you're fully in control, and it's kinda fun that way -- seconds from total chaos or a run-ending firefight. The expected suspense keeps you on your toes and your wits sharp. In-game achievements aside, there are also 25 Steam achievements for those hunters out there that love seeing that 100% completion call out on their game profile. 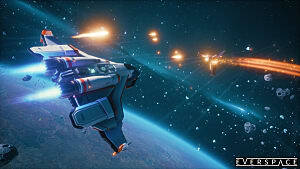 Everspace is a textbook example of a well-made game and a successful Early Access release. The graphics are on par with any game made by any AAA studio, the audio and soundtrack are very well done and fit the game, and the controls are tight and responsive. The fact that the full release will support VR has me envious of those of you with the hardware to enjoy it. I look forward to spending many more hours with the game and look forward to any updates or DLC packages. 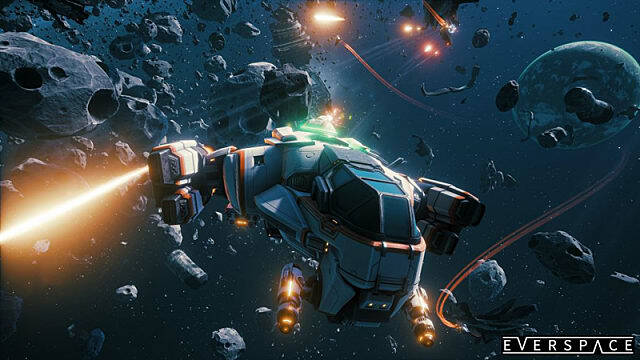 If you are at all a fan of roguelike games or space shooters in general, then I highly recommend purchasing Everspace. The game can be found on its Steam page, and is currently retailing for $29.99. 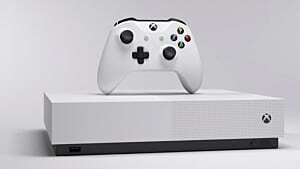 It is also on the Xbox One. 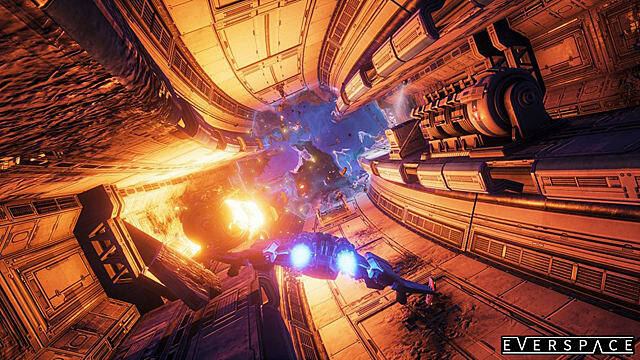 Rock Fish Games provided a copy of Everspace for review. 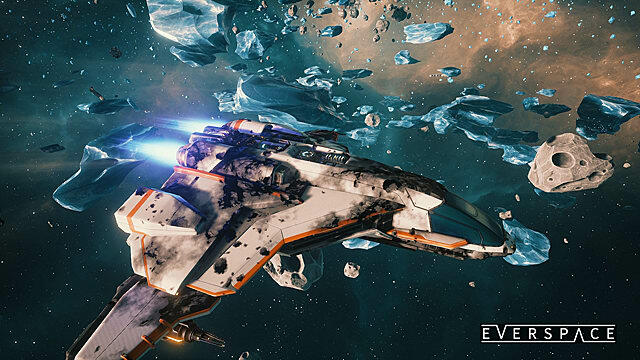 Between its beautiful visuals, tight controls, and harrowing battles, Everspace is a must-play game for lovers of space exploration and roguelikes.